In the 1930s there was vast uninhabited Minnesota lakeshore. 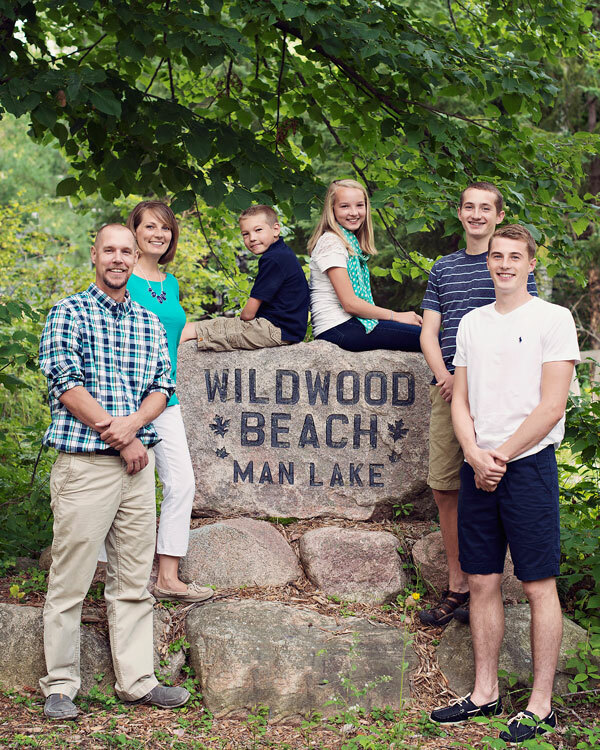 From their exploration, the Buxton family found and fell in love with one such piece of lakeshore. They recognized the exceptional beauty of Man Lake as a unique deep, spring fed lake with sky blue water that offered only private access. They chose this prime lakeshore location for the site on which to establish Wildwood Beach Resort. In 1991, Tom and Sherry Johnson fell in love with and purchased Wildwood Beach Resort. Their goal was to provide others with high quality, affordable lodging and access to exceptional north country experiences. They worked hard to refurbish and rebuild the resort. In the spring of 2015, Patrick and Melanie Deegan jumped at the opportunity to purchase the resort from Tom & Sherry (Melanie’s parents). They look forward to continuing the tradition of providing an unforgettable vacation experience for families and fishermen.